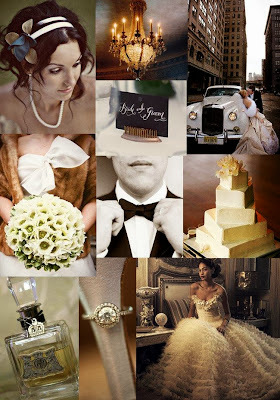 A vintage wedding theme is classic and can always be recreated for your own wedding. It has an old world feel, but is still timeless. A vintage theme will make the bride feel pure and enchanting. It captures a certain time when romance really meant something. The most important aspect of a vintage wedding theme is the bride's wedding gown. There is no way to pull off a vintage theme without the gown being something truly classic or Victorian looking. A vintage inspired dress looks like it's one of a kind, it usually has intricate details and a lot of trim. This type of wedding dress can either be second-hand, passed down through generations or made to look the part. Lace and pearls are very common decorative pieces for vintage dresses. Bridesmaids can get in on the action too with their own vintage inspired dresses. They can don brooches or other antique style headpieces with netting or feathers to complete the look. Old fashioned jewelry is always a great complement, try strands of pearls, dangling earrings or a cameo ring. There are so many accessories that can be used to enhance a vintage wedding theme, have your bridesmaids carry a lace fan or wear a shawl for the ceremony. Colors are an important part of making this theme work. Without the right colors, the theme will not be able to convey what it is supposed to. Ivory is a staple color of the vintage wedding theme. 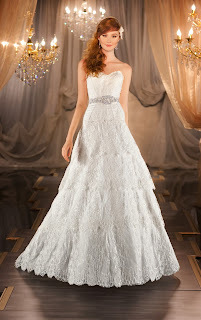 The perfect vintage wedding dress is something that is ivory with other light or pastel colors as accents. Bright colors that are too loud or vibrant are not a good fit for this theme, because those types of colors have more of a modern feel. 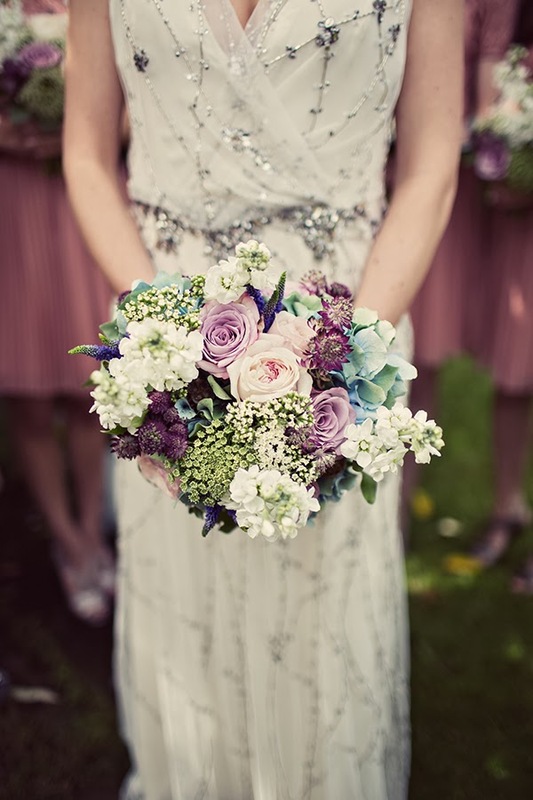 A vintage wedding cannot be without flowers. When choosing the types of flowers to use, remember to rule out ones that are too colorful or vibrant. 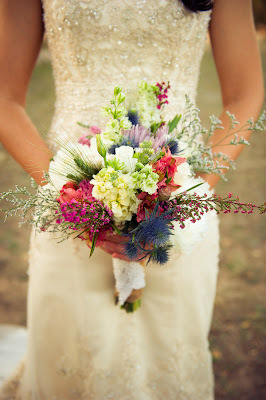 Look for classic flowers in shades of light pinks, yellows, blues or purples. 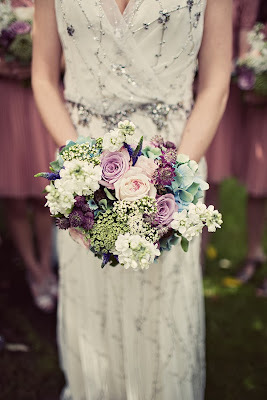 Peonies, roses and hydrangeas are perfectly suited for this theme. Instead having extravagant bouquets or huge floral centerpieces, try to keep things simple. Use a few flowers for your arrangement and place them in reusable jars or containers to capture that old rustic feeling. Anything that appears antique could be used for the decoration of the ceremony or reception. There are many places to get ideas for the decor. Try to check out a few flea markets in your area, you might stumble upon some great finds to be used as a focal point of the theme. Since vintage weddings are quite popular, there is no shortage of inspiration. Just check out some bridal magazines and you are bound to find some great ideas.